Cost: Included with Botanical Garden admission - $11 adults, $10 seniors (62+), $9 students (13+ with ID), $6 Kids 3-12, members and kids 2 and under are free! 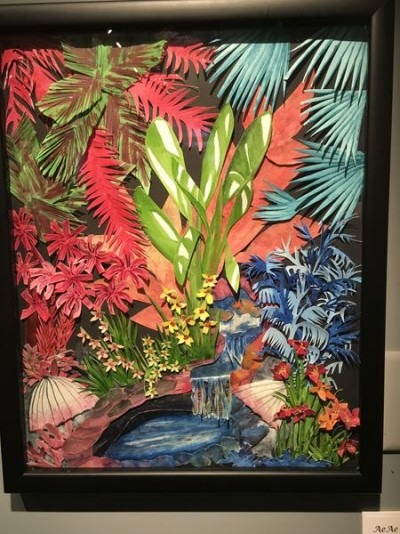 Arcangel Gallery Exhibit - 10am-5pm - Included with Botanical Garden admission - $11 adults, $10 seniors (62+), $9 students (13+ with ID), $6 Kids 3-12, members and kids 2 and under are free! Paintings of the Botanical Gardens flooded with color inspired by Lumagination. Works are presented by the Botanical Gardens’ art classes. Go to www.buffalogardens.com for more information.